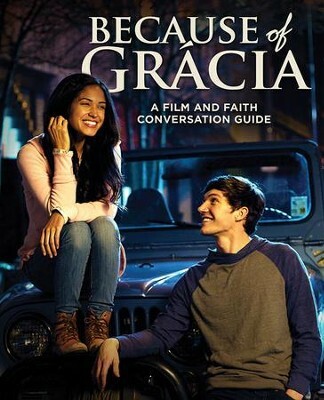 The "Because of Grácia" Film and Faith Conversation Guide is a 45-day experience to spark conversations on the challenges students face as Christians. Based on the themes of Because of Grácia, each week's conversation has info on group activities and then follows up with five days of devotional reflections for a student and his or her conversation partner. Topics and conversations include Practicing Friendship (teen dating and relationships), Choosing Life (pro-life values and ministering to those facing teen pregnancy), and Voicing Faith (defense of one's faith in public). These conversations will help students know how to handle the life-altering choices they face everyday-- friendships and relationships, dating and falling in love, how to choose life and support those facing teen pregnancy, and how to confidently voicing your faith and beliefs in public. So let this film and faith conversation be a part of their faith journey, and get real with these real-life questions on God, friendship, and love. How Do You Grow True Friendship? 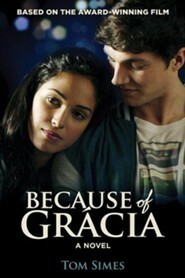 These Because of Grácia conversations will help students know how to handle the life-altering choices they face everyday-- friendships and relationships, dating and falling in love, how to choose life and support those facing teen pregnancy, and how to confidently voice your faith and beliefs in public. So let this film and faith conversation be a part of their faith journey, and get real with these real-life questions on God, friendship, and love. 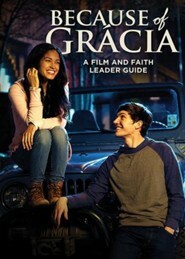 I'm the author/artist and I want to review Because of Gr&#225cia: A Film and Faith Conversation Guide.